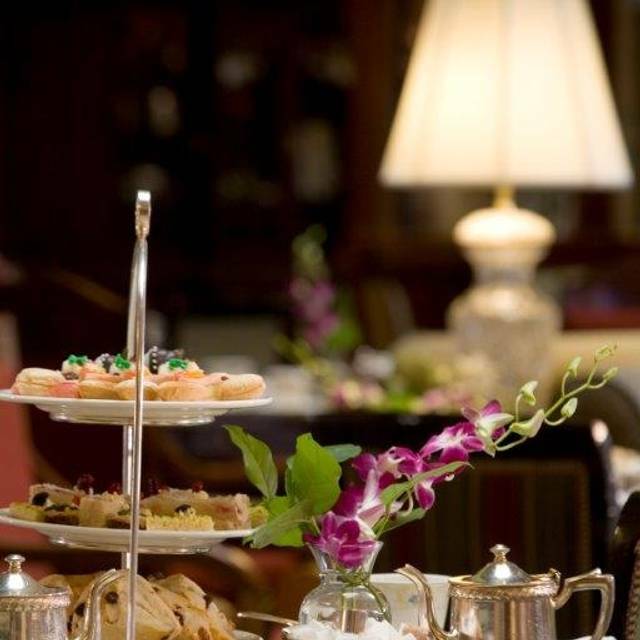 You must make reservations at least 5 minutes in advance of the time at Afternoon Tea at the Brown Palace. The Brown Palace Hotel has valet parking as you arrive at the entrance of the hotel. A reduced parking rate of $14 with validation is available. Monday through Saturday: 12:00pm - 7:30pm. Any of the Brown Palace Hotel's catering rooms may be reserved based on availability. 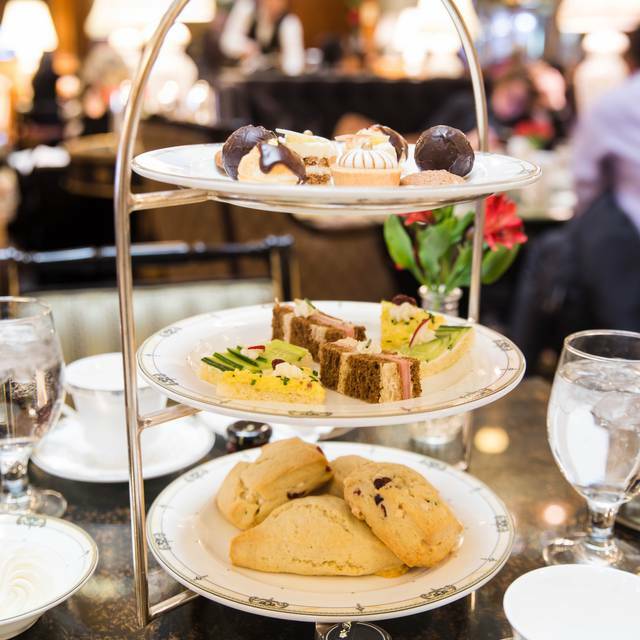 For decades, afternoon tea has been a tradition at The Brown Palace. Set amid the historic grandeur of the atrium lobby with its serenade of the melodic piano, guests revel in the splendor as they escape from the city's bustle. 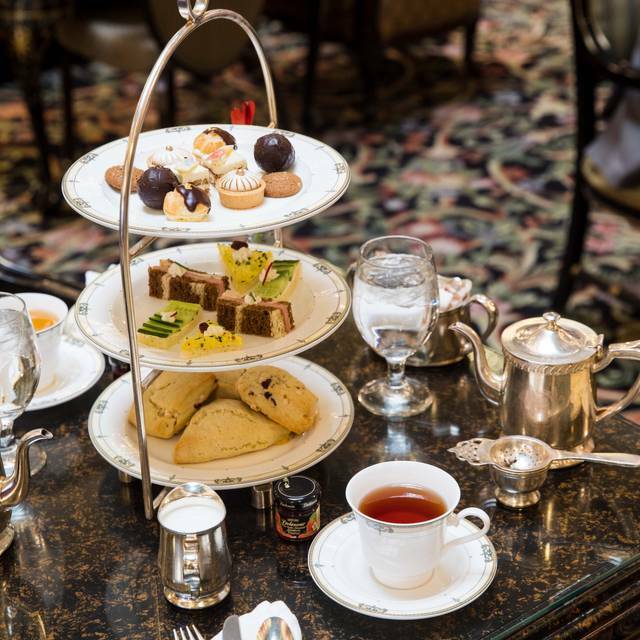 Enjoy such signature items as a pot of properly brewed English tea accompanied by scones served with Devonshire cream and preserves, savory tea sandwiches and a delightful array of classic tea pastries. The foods were ok, the service was lackluster, even asking the next table to move foods because the server’s hands were full. No explanation of refill opportunity—good thing the surrounding tables were helpful to us. Tea wasn’t steeped long enough when poured upon arrival at the table. 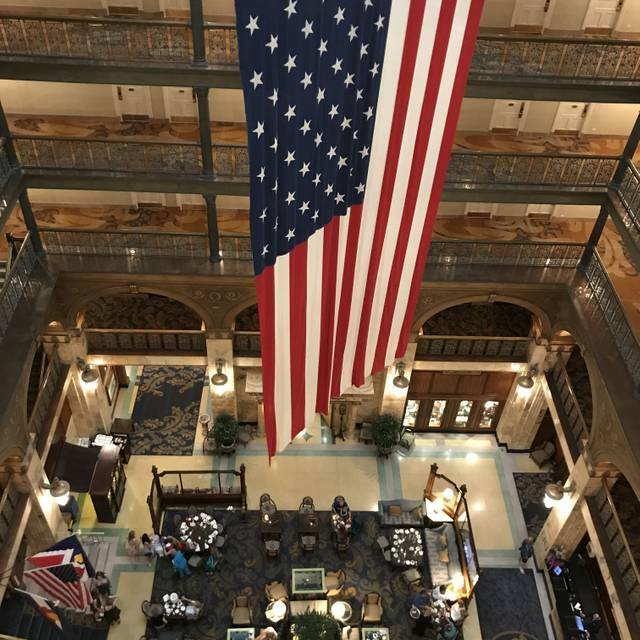 Enjoyed tea at the Brown Palace. We were so happy to find out they had gluten free options too. 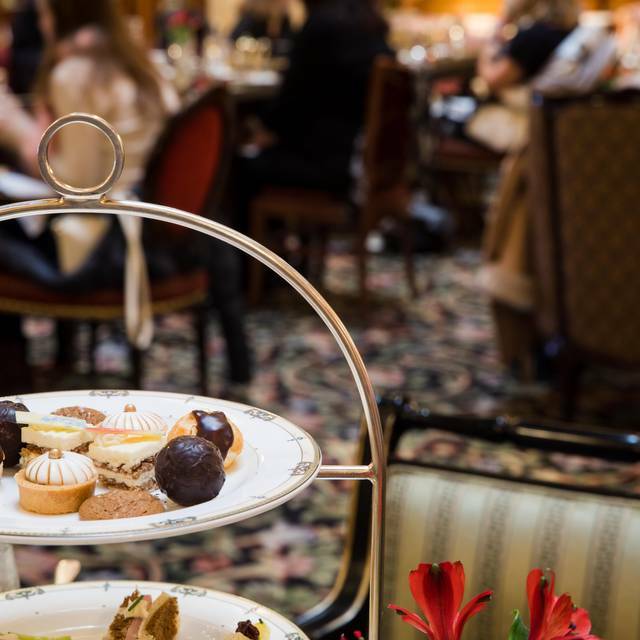 My mother’s 70th was on the 15th and I made reservations @thebrownpalace for there high tea service. It was even better than I imagined, they even played happy birthday on the grand piano as they dropped off a slice of heavenly cake with the words written in chocolate “ Happy 70th birthday Mom” they went out of there way to make sure it was a very special and magical time. We will absolutely be returning for high tea in the future. If your looking for something unique and top quality experience look no further. We had a 3pm reservation. We arrived at 2:50pm. We were told it would be a few minutes (fair, as we were early). We were not sat until 3:30pm. The hosts never apologized. Luckily our servers were kind enough to expedite the food and bring us free champagne for our wait. Upon leaving our server did say that a wait for tea is normal at the Brown Palace. I guess if you want a 3pm tea, you have to make a 2:30pm reservation. Overall, the initial experience put a damper on things. I had big expectations hearing about this tea from others in Denver but I was disappointed. Fabulous high afternoon tea experience for my cousin’s big birthday. Gorgeous hotel & ambiance. Scones, cream, sandwiches & desserts were divine and teas were intensely flavored in wonderful ways. Service was a bit slower & staff didn’t seem as attentive as we needed after our main service. There was no follow up and we had to wait longer than one would expect and needed to ask for our bill & a box to take home some goodies. This won’t stop me from enjoying this again, however the service expectations were not quite met for this experience. An amazing expereince my wife and I will always treasure. Fantastic tea and food, with exceptional service. A major highlight of our trip to Denver. I feel this is an experience everyone should have at least once. 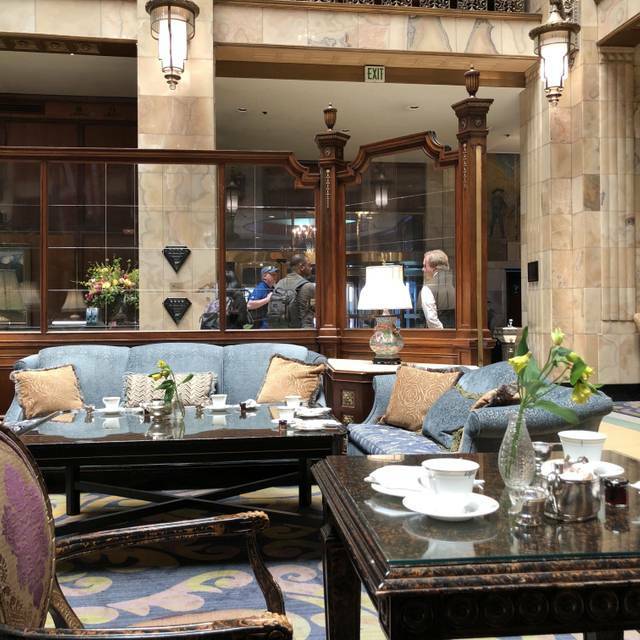 There is just something about being at the historic Brown Palace and admiring all it's wonder while sipping tea. I have only done it twice and both times it was an experience to remember. They have some amazing choices for tea and the food is impeccable. The piano music is such a nice touch and if you are lucky you can get in a couple of requests. Definitely do the valet parking. They will validate for you and the cost goes down to $14. An added touch this time around was a complimentary Birthday cupcake for someone in our party. If you have the chance, do it! Excellent for something unique. Took my mother for her 56 yr old birthday and it was a memorable day. We had the best conversation that enabled us to be closer. We felt like ladies and were treated as such. Great atmosphere and beautiful tea room. Service was great. It’s expensive but worth it if you take your time and enjoy the whole experience. Great place for 3 generations to meet and enjoy each other’s company! Wonderful experience. Definitely go again. Great for girls outing. Great service and atmosphere. Lots of fun history and beautiful architecture. Delightful! Love the setting and the pianist. They say to allow an hour and a half but we definitely felt rushed. Since our last visit it has lost some of the high end service you expect. I anticipated a relaxing event to take in. The food was ok-nothing exceptional. It would be nice to be able to choose two tea choices . One little jar of room service type jam didn’t seem to fit with high tea. Tea once a year has been a family tradition for about 9 years. Ages 79-11 at this point. Something we all look forward to, even tho finding time on our schedules to be together can be difficult. Atmosphere, food and service are all superb, and checking out fellow tea drinkers can be very interesting. My granddaughter enjoys climbing to the top of the atrium and waving down to us. Too pricey. Ripe off for so-so tea, sandwiches and pastries. Service though was very good. Setting is special. Birthday cupcake with candle was well-done and appreciated. My granddaughters birthday- they made it very special. The pianist played happy birthday and thank heaven for little girls. I got tears in my eyes. Food was so nice and staff made it very special -thank you! My best friend and I had a lovely time at this high tea. It was a splurge for us, but I think we would do it again if we were visiting Denver. 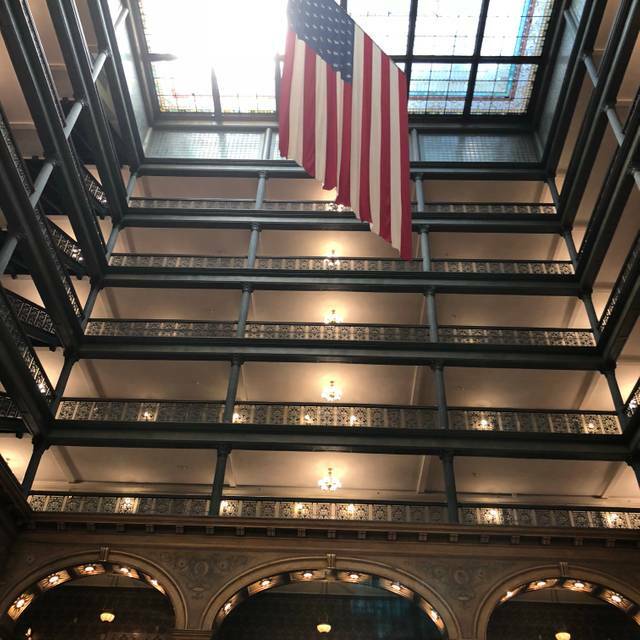 The Brown Palace alone is worth the trip. It is beautiful. The pianist and the tables setup was wonderful. There were not enough servers... I had to seek out someone to bring us hot water for pots. Definitely didn't make us feel special enough to pay the price point again. Always such a pleasure and amazing building to sit and enjoy tea, conversation and friends in. This is the second time our family has taken my mom there for her Christmas gift and we have enjoyed it so much both times. This time we did have a 2 year old and a baby and it was still so wonderful. They really made sure everything was good for us. I would totally recommend this place. I had forgotten my phone in the car when I dropped it off with the valet, and without even being asked, they gave it to the hostess and subtly gave it to me when we checked in for tea. Excellent service! The tea was wonderful, and we all really enjoyed the experience. I was hugely disappointed. Tea was from a tea bag not loose tea. Staff forgot to bring me a tea cup, after my tea was cold and I asked for a new cup. They took my cup and never brought a replacement. I had to wait 20 minutes for my check to be placed and it was not busy! Food was a huge disappointment. The frosting on the pound cake was hardened. Scones were also unusually stale. I was not sure if the items served were even fresh. For this quality of tea, food, and service, the price was ridiculous. I will NEVER return. It was so wonderful, we will be going back very soon. Always an elegant event, but they've taken to putting party of 3 at a table meant for two. Difficult to maneuver all the items that go with an afternoon tea. Food quality was good, but not outstanding, which it should be for the price! Lovely ambience and service. A bit over priced but it’s an experience. The deserts just so so. Girls afternoon out, was a great experience. Well appointed, beautiful setting and piano music. Tea was great and scones are wonderful. I was expecting something a little nicer for the tea sandwiches or a better selection with more flavor. But overall it was a fun outing! 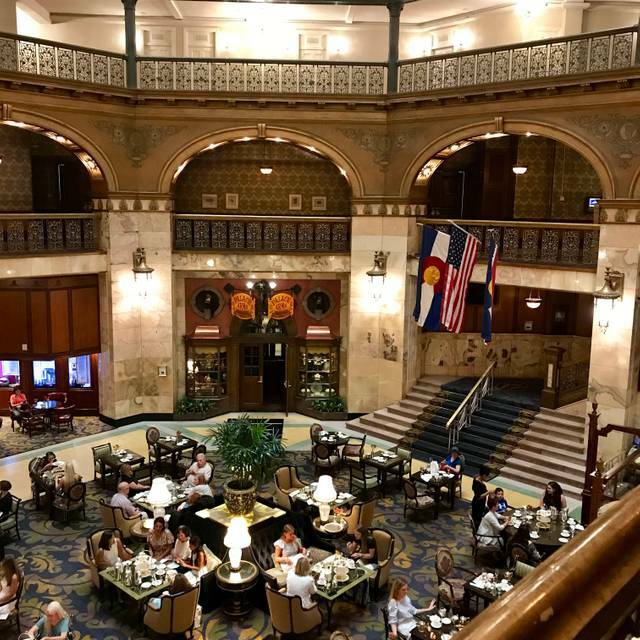 I have experienced Afternoon Tea at the Brown Palace a few times before yesterday (3/17/19), and I wish someone would have warned me that high tea service here has really gone down hill. First, Isaac, our server was incredibly unhelpful and rude (almost snobby). We had a table of 9 women, and we could only choose 3 teas between the 9 of us. Note that if we had been a party of 4, each of the 4 of us could have chosen our own teas from the 25+ types of teas offered. When we asked Isaac if he had recommendations, he could not name a single tea he liked - but merely stated that they offer 25 types of teas. We asked if we could have honey with out tea, and Isaac brought 3-4 mini jars of honey for a party of 9. I tried to get creative and suggested what if instead of the giant tea containers of 3 tea, they bring the smaller tea kettles so that we could sample more than 3 types of tea, but Isaac said that this was not possible. One would think that spending a minimum of $40 per person for tea and scones, one could at least choose their own tea. In addition to this, the scones and mini cucumber sandwiches were nothing to write home about. I am thoroughly disappointed and will not return for Afternoon Tea at the Brown Palace. Together, we spent over $500 yesterday, and we each walked away with a bad impression of the Brown Palace. Please don't come here for tea. House of Commons on Platte street is an option. I went there 2 years ago, and the staff was lovely, and we each got to choose our own tea (we were a party of 12). Surprisingly, this was not a great experience. The pastries did not taste good—either bland, too doughy, or too dry. While the tea was enjoyable, and the environment lovely, it could not counteract the poor service, the high price tag, and the dullness of the experience. Save your dollars and go elsewhere. Perfect for any tea lover! We had an amazing time! The server was very unresponsive. We continually had to pour our own tea although there were only 4 other tables. The server was chatting with piano player and not paying attention to his customers. Will never go to Brown Palace for tea again. Great event for an afternoon with your mom! Food is scones, finger sandwiches and mini deserts. 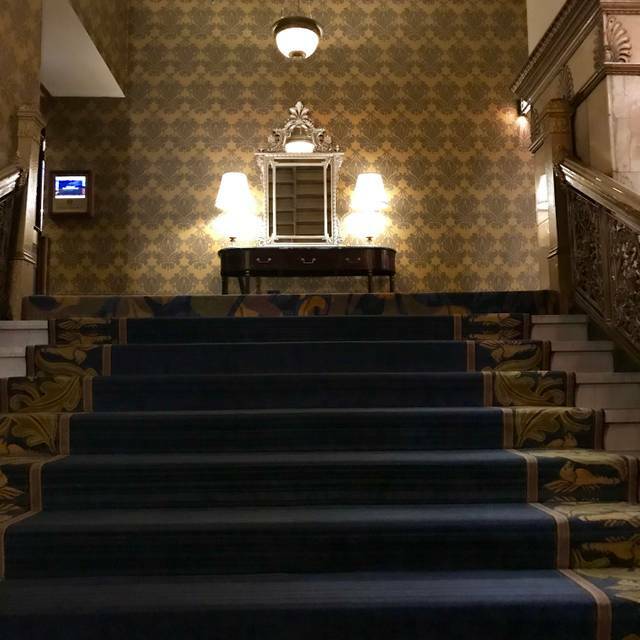 A little pricey at $40 but definitely special and the Brown Palace is a very unique place. Friendly service in a fantastic setting. Will absolutely be returning again. Staff also made sure we never ran out of tea but I’d have liked the option to try a different tea rather than just a refill.